On this blog I publish my passive income reports every three months. I’d found great value and inspiration from other bloggers who publish earnings online – Pat Flynn springs to mind as the best example – so I thought I’d do something similar. So on 12th July 2012, I wrote my first passive income report. I’d earned a massive $3331.07 in the first six months of that year. That was a big deal to me at the time. However, you could argue that this is passive income revenue. I haven’t factored in the costs so people aren’t seeing the whole picture. Well, all that’s about to change. I have to say that I always kept my expenses down to a minimum. I never spent a penny on advertising (OK maybe $50 on Facebook). Also, some of my expenditure is necessary for my active business of doing graphic and web design for clients (for example, hosting). So the passive “income” figures have been mostly profit. A lot of my expenses are recurring. Here they are. The ability to outsource is a skill just like anything else and I’ve definitely learned the hard way. I’ve had bad experiences with inappropriate freelancers – at the time I thought it was their fault but now I realise it was my inability to explain the job or choose the right candidate. I’m better at this type of outsourcing now. However, I have recently sourced a Virtual Assistant from Chris Ducker‘s Virtual Staff Finder. This marks a new chapter in my business as I now have a full-time employee. I’ll write more as I learn more about working with a permanent VA. So, going forward, the minimum I’ll spend on outsourcing will be $800/month. The figure will rise even higher during certain months, for example, when I’m outsourcing a lot of video editing. Hosting is always a sticking point for entrepreneurs and bloggers. There’s loads to choose from and a baffling array of options and prices. When you reach a certain amount of traffic you should start to spend more on hosting so that your site loads quickly for everyone. I have a VPS at a UK host Vidahost. I pay $100/month for this. My second biggest monthly expense is with Aweber who are the company I use to collect email addresses and send out bulk mailouts. I will soon go over the 10,000 subscriber barrier, when I do I’ll have to pay $140/month but at the moment I’m paying $60/month for email marketing. As I recently went “location independent” and can run my online business from anywhere, I have a Dropbox Pro account which gives me 1TB backed-up on the cloud. It also enables me to share large files with freelancers. Dropbox Pro costs £7.99/month or £79/year. I purchased the yearly option which means I spend $10/month on cloud storage. I host the videos on my membership site on Vimeo Pro. I spend $17/month on video hosting. Regular readers will remember that I’m the world’s worst podcaster. I started a podcast in 2012 and finished a nine months later in 2013 having recorded less than a dozen episodes. I’m not sure how, when or if I’ll start up again but in the meantime, I still have to pay Libsyn $10/month to host the audio files. My membership site did cost a bit to set up and has some recurring costs: MemberMouse, the membership plug-in I use costs $20/month. I also had to purchase an SSL (Secure Sockets Layer) so I could take credit card payments this is an ongoing purchase at $5/month. I always like to say that online business has an incredibly low barrier to entry. You can get started with a website for a few bucks a year. However, further down the line the odd premium plug-in here and the odd premium WordPress theme there (for example, Genesis themes, Sensei plug-in) – it soon adds up. Not to mention the latest new shiny object that’s going to make you a fortune! I’ve always tried to NOT get caught up in the latest fad. I’m quite proud of myself that I’ve resisted getting LeadPages (so far). However, I do tend to “splash out” when investing in myself. For example, I’m going to Chris Ducker’s Tropical Think Tank in May in Cebu, the Philippines. It’s a week long mastermind with speakers including Darren Rowse, Jon Lee Dumas & Kate Erickson, James Schramko, Dan Norris, Jason SurfrApp, Amy Schmittauer, Matthew Kimberley, Nick Unsworth and others. The conference alone cost me $4,200 plus there will be travelling and other expenses. But, I couldn’t resist the opportunity to meet and spend time with people I really, really admire and respect. Plus it’s an excuse to visit another country in SE Asia. What do you think of my decision to go to the Tropical Think Tank? So, here’s the scary bit. How much do I pay on recurring expenses each month? That’s quite a lot. $13,500 a year. Of course, the VA that I’ve just hired has increased this figure a bit but, as I explained, I’ve always spent on outsourcing. What do you think of my monthly outgoings now? Do I spend too much on hosting? Should I be spending more in order to grow my business? I’d love to hear your take in the comments. Great to see you are taking things to the next level and that you hired a VA. Can’t wait to hear more about your experience working with an employee. Question – have you ever considered using Wistia instead of Vimeo Pro? I hear a lot of great things about Wistia from folks like James Schramko. They have built in list building features and incredibly advanced statistics compared to Vimeo Pro. Thanks for sharing this Rob! Love the transparency. Hi Ileane, I’m so new to this and I find it so difficult that it’ll be a while before I have anything useful to share about my experience with my new VA. Still, we’ve started really well and I’m getting some great advice. Typical me, I saw that Wistia was cheaper than Vimeo Pro. I probably should have invested more money looking back but, as you know, it’s difficult to justify all these expenses when you’re not seeing any return from them (I’m only seeing moderate returns from my membership site). 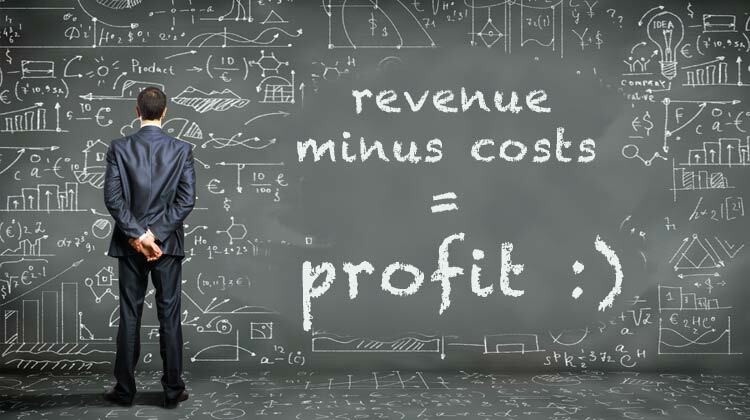 Surely you should re-invest in your business. How much? Is for you to decide. Such costs would eat me alive… because my revenues are tiny. Just keep in mind this equation from the beginning of the postand keep enough to have profits. Costs should never be just money spend. They should generate more revenues for you and you should invest in such areas. For example outsourcing is a great area to spend money. It actually multiplies your time. I look forward with anticipation when I will be able to outsource on the bigger scale. Judging by the opinions of successful people TTT is the best investment you could make. It mingles two very aspects: networking and self-improvement. Hello Michal, I’m not saying my income reports are appealing or not but bear in mind that maybe a half of this monthly total is for the VA who I haven’t even started paying yet and that some of these expenses benefit my active income. So I would say that my passive revenue has regularly been clearing $5000 in the last months. I quite agree with you. We’ve got to spend money to grow, to educate ourselves, to buy time, etc., and, as long as we have enough profit to survive, we can justify the expense. In some ways I should be spending more. I agree with you sometimes the expenses that seem like a waste of money teach us the most. Thanks for your endorsement of TTT. Hmmm… I never really thought about listing up my expenses like this then see how much do I really spend and then compare it to my earnings. There are times that I struggle with finances but I know it’s because I’m a bit disorganized with my finances. Although I have thought about listing up my expenses, this actually has put me into perspective because I never thought my expenses would be that big. I just realized that I need to do things right. Thanks for this post! But I do admire your attempt to ask other people and expose your finances to the public. I think you can do more than this. Who knows, it might lead you to something bigger. Thank you, Elvis. The most popular thing on this blog in terms of engagement by far is the income reports so I thought I’d go one further. I am interested to hear more about your new Virtual Assistant in the future. By the way, since you outsource your stuff a lot, with the new VA, do you think your overhead expenses will come down? Since the VA does a lot of stuff on the computer and online…what do you think? Anyway, IF you are making $50,000 a year and your expenses are around $1,000+…I think it’s pretty reasonable. Right? You make money and you hire someone to help you make THAT money. Just make perfect sense. I hope the new VA you hired will save you that outsourcing job. Anyway, do keep me in touch. Thanks for the report, it’s quite interesting! I’ll let you know about the VA as soon as I have something useful to share, Angela, but I’m a total beginner at this. I’ve never worked in a corporate environment and I’ve never had someone working for me so this is a new experience. It’s going really well this week. Sounds remarkably sound, Rob. And I applaud your decision to go to Tropical Think Tank, I think you will get a ton of value from it. Unfortunately, some of us can’t manage that option at the moment! Have a great time and thanks for the blog. Question: at what level should you go to faster website hosting – I am with GoDaddy and I know its slow but I only get around 100 visitors a day. Is it worth upgrading or moving? Well, remember we met at a Chris Ducker Mastermind, John. Great for networking. And, I want to visit the Philippines anyway so … I thought, why not? H’mmm, hosting. Your site does seem to load a bit slow but it may be down to all sorts of things not just hosting. It’s difficult to say at what point you need to upgrade. interesting as always Rob. 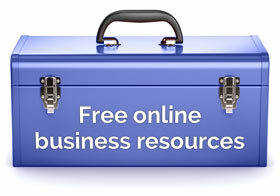 Would love to hear more about your outsourcing to freelancers and what the virtual assistance can do for you. i use one freelancer at the moment, but at a point where im starting to offer clients some different stuff like social and seo and should probably start getting more help. Hey Louie, Outsourcing is a skill like playing guitar or learning Photoshop. It takes hours of banging your head against a brick wall. I’m no expert but I have learned a bit about it. The more work you put into it the better. It’s not a silver bullet, as they say. We’ve all had our fingers burned, Ali. Yes, I do have a list of trusted freelancers but they’re all from oDesk so sub-contracting them out could be tricky. Also, they are only a few and I think I’d need more to provide this service. I do recommend people from time to time. Thanks for the idea, Ali. Always appreciate your input, mate. Great post. I don’t really think of income and expenditure that same way that you have described. 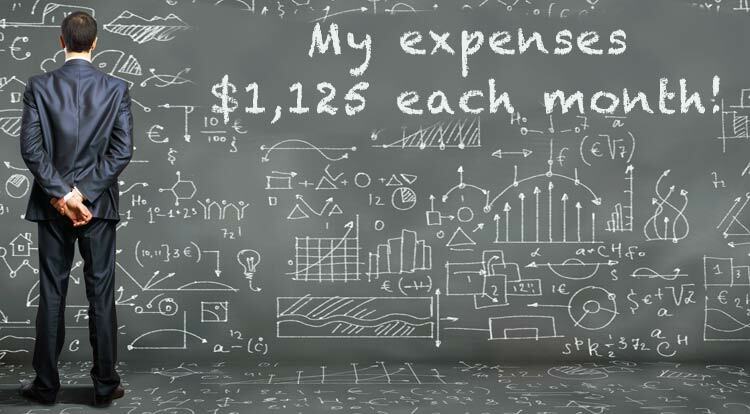 I think that if you are judging business expenses it should be in the context of how much that expense is earning you. I would be happy to spend $1mill if it mean that it would earn me $10mill. Thank you, Nigel. Yes, the beauty of making passive income means you can experiment with different expenditure to see if it can make you more money. You’ve always got to make sure the bottom line is good, though.